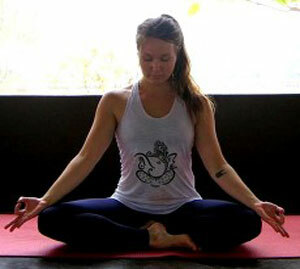 Who can join our 200-hours Ashtanga Yoga Teacher Training in India at Mahi Yoga Centre? 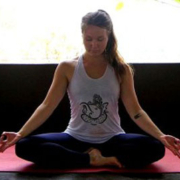 The 200 hours Ashtanga Yoga Teacher Training in India offered by Mahi Yoga are suited for any individual who has an zeal for Yoga, and for anyone who wishes to do aprofoundstudy of Asanas and Pranayama, Meditation and Yoga philosophy or those who might want to impart the advantages of this practice to others can apply for this course. It would be an added advantage to you in case if you have been practicing this Ashtanga Vinyasa basic series for more than 3 months. However even if you have very little or absolutely no experience in Ashtanga Vinyasa practice, it is enough if you considerable fit enough. What can you expect to learn from our 200 hours Yoga Teacher Training in India at Mahi Power Yoga? The prime target of the Yoga Teacher Training in India Course at Mahi Yoga is to give amateurs and experienced yoga students a solid technical and hypothetical experience. This will empower them to perform Ashtanga Vinyasa Yoga Primary Series with flawlessness and right posture alignment. The course will prepare the future yoga teachers to be totally self-reliant and trained well enough to conduct their own classes with the highest quality. 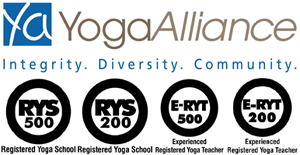 The students will be taught a blend of Ashtanga Vinyasa Yoga and alignment principles of Iyengar in this course. This approach is highly beneficial specifically to practice yoga free of injury. Each morning, students begin the day with Kriyas for cleansing and purifying of body and mind. This practice gives the needed basis for the Ashtanga vinyasa class. Initially, the Ashtanga vinyasa class is lead by senior teachers in the yoga teacher training in India.Later, the students do their own self practice i.e. Mysore style or they lead their own classes during the latter weeks of their training. The morning practice is closed with Pranayama, meditation and finally breakfast. The subject of classes amidst the day changes each week; ranging from yoga philosophy to anatomy and physiology. Apart from that, students can likewise have marketing classes on demand, amid which they get tips on the most proficient method to advance and market themselves as yoga teachers and also on how to do advertising for their future yoga business. The evening program begins each day with the teaching strategies. Students can learn all the yoga asanas in detail to improve their own particular practice as well as specifically to help other people, may be their future students, to get into and be effectively and perfectly get aligned in every single yoga posture. Amid the evening yoga classes, students get acquainted with other yoga styles, i.e. Vinyasa stream, yin yoga, hatha yoga or therapeutic yoga. The day is closed with a night meditation. From the second week of the yoga teacher training in India, students effectively take an interest in training others and additionally correcting others amid the classes. This gives students and future yoga teachers the best chance to figure out how to train the students in an extremely steady, open and safe condition. On the completion of 200 hours Yoga teacher training in India at Mahi Yoga, students are well trained and mold into their best versions as yoga teachers who are capable of leading best venerated yoga classes. Asana practice is focused on developing the quality of body alignment, observation and sharpening awareness of deeper physiological processes while performing an Asana. Workshops on demonstration of Asanas(like hip openers, arm balaces etc. ), Restorative Yoga, Yoga for specific groups and Yoga to deal with common ailments like joint pain, back pain, thyroid, diabetes, etc. Learning about the musculoskeletal system with focus on bones, ligaments, origin & insertions of muscles with nerve supply. Basic Overview of the structure and functions (Anatomy and Physiology) of different systems in the human body. Anatomy of Pranayama with focus on Energy Systems, Chakras, Energy Bodies and the Cardiovascular System. Students will be required to engage in self-study and submit daily & weekly assignments on the basis of the day’s lectures and discussions. There will be a practical and a theory exam at the end of the course to assess the students on their learning, practice and teaching during the 4 week Teacher Training Course. When Mahi was eleven, his family members, being all Yogis, taught him yoga. 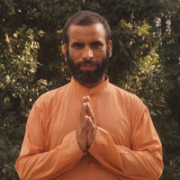 The whole family belonged to the Yoga Meditation & Pranayama, therefore focusing on the spiritual development of a human. For example, Mahi’s father was a disciple of Sri Ramana Maharishi’s student. However, not only family members influenced Mahi on his way! He spent a lot of time learning hatha yoga Ashtanga, bhakti yoga, meditation and karma yoga with monks and swamis. By turning eighteen, Mahi went around India to continue his development on the yoga path, staying in Mysore, Bangalore, Rishikesh and some other places, absorbing different styles of teaching. However, it was never enough, so he went to senior Iyengar teachers, learning how to focus on technical aspects of hatha yoga alignments and anatomy. At his center he teaches the therapeutical effect of asanas and their adjustments. And this is exactly what allows Mahi to use yoga as a therapeutic way of healing people with various pathologies of the body. Xinia graduated in December 2010 with a Bachelors degree in Dance from AUT University. She has performed and choreographed in Tempo Dance Festival, WIP, and the Auckland and Dunedin Fringe Festivals. In 2010 and 2011 she worked with the Black Grace dance company for the Auckland Arts Festival and Pacifica. From 2009 to 2012 she was a dancer and choreographer for the AUT Dance Company. She has been involved in many other small dance projects and has developed an obsession with Yoga and Pilates and loves the interrelation between the three. 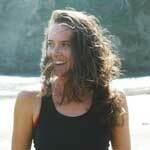 Xinia has had a steady Yoga practice since 2006 and began teaching in 2010 and is continuously studying the practice. She believes in a regular practice taken at your own pace and intensity. Becoming more in-tune and aware of your body has endless benefits which become positive catalysts in the activities and thoughts of life. In 2013, 15′, & 16′ she has visited Mysore, India to study with Ashtanga Guru Sharath Rangaswarmy, grandson of Sri K Pattabhi Jois, founder of the Ashtanga Yoga Institute. In 2014 Xinia completed her Diploma in Yoga at Wellpark Collage. Throughout the year she also taught Ashtanga yoga, Pilates, and personal trained many clients including the NZ Warriors Rugby League Team. At the end of 2014 she moved to Fiji to work as Yoga Instructor for Paradise Cove Resort. Paula is a certified Multi Style Yoga teacher, KRI certified Kundalini Yoga Teacher, Somatic Movement Educator, Community Educator and she holds an MA in Dance and Somatic Well-being. She is originally from Lapland and her passion for yoga and movement led her to study across Europe and India. Through years of devotion to Vipassana Meditation, Kundalini Yoga, Ashtanga Yoga and Somatic Movement, she connected deeper into the life force and to the transformative potential that is contained within ourselves. Through her personal devotion to Yoga she has realized the many benefits of this powerfully transformative practice, that has potential for physical, mental and spiritual change. She studied Kundalini Yoga in Sahej Academy, UK and Multi Style yoga in Yoga Mystica, India and is grateful to share these profound sacred practices. Paula imparts her passion for holistic wellbeing in her teachings where she seeks to inspire people to find their fullest potential and ability to gain self-responsibility, where the potential is rooted in ancient practices and yoga traditions. Happiness is our birthright and no matter what our background, age, state of health, or religion is, we are capable of finding our innate ability to uplift ourselves and recognize our awareness. Check out our Ashtanga Classes Pictures. Also, check out what Student of the previous batches have to say about us!